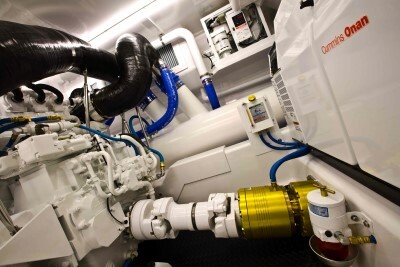 Twin Disc Pacific has been appointed the Exclusive Distributor for the innovative Seatorque Marine Propulsion Systems in the Pacific region. In the spotlight, the Seatorque Boss Enclosed Shaft System which offers boat owners a myriad of benefits. The multiple-award winning ‘Boss’, a product based on 14 years R&D, is a totally enclosed, oil-filled, self-contained, shaft and thrust bearing assembly, supplied as a complete unit from transmission output coupling to propeller end. The non-rotating, full length shaft casing and thrust bearing assembly minimizes mechanical losses to only 2 percent, leaving valuable extra power where you want it, for propulsion. The Boss further delivers unrivaled ruggedness in operation coupled with the lowest underbody drag of any system currently available. Suited to commercial and recreational vessels from 30 to 200 feet, the Boss provides reduced friction, better efficiency and allows for the use of softer engine mounts reducing vibration. It bolts on to the hull transferring the thrust from the propellers to the hull and not back through the engine, meaning there is less pressure on the mechanical equipment. The use of cardan shafts to attach Seatorque to the engine package eliminates alignment issues, both during construction and post-delivery. propellers to damage in the event of contact with debris or worse. Seatorque products, in particular the Boss Enclosed Shaft System, enjoy great synergy with the existing Twin Disc propulsion systems, working together to further reduce vibration and increase performance offering an exceptionally designed engineering solution. International boat builders are using them to great effect, including Grand Banks, Outer Reef, Nordhavn, Fleming and Marlow. Local builders are catching on too, and now, for the first time, Seatorque is represented in the pacific region, supported by the extensive and reliable Twin Disc Pacific network. Glenn Frettingham, Managing Director at Twin Disc Pacific commented “Seatorque produce an exceptional range of enclosed shaft products that perfectly align with our Twin Disc propulsion systems, offering boat owners a superbly engineered solution for their boat. 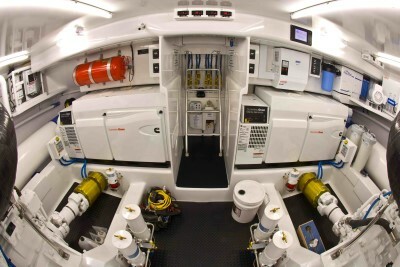 Best of all, Seatorque offers a full 2-year or 500 hour Limited International Warranty. Worldwide sales and service support. Seatorque carries a full inventory of spare parts, most available worldwide within 24 to 48 hours. Twin Disc Pacific will showcase the Seatorque range at the Sanctuary Cove International Boat Show, 25 to 28 May, for more information visit www.twindisc.com.au.